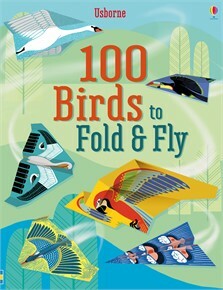 A tear-out book with 100 colourful, bird-themed sheets to fold into super-fast darters, soaring gliders, stunning swoopers and graceful drifters. Includes detailed folding instructions for the four different designs, plus tips on folding, launching flying and looking after your flock of paper birds. The whole family have had 12 months of fun making these beautifully designed planes. We have races both inside and outside the home. It has led to intricate imaginative play. The book is put away for weeks at a time and then remembered and brought out time and again.